I CAN REMEMBER every moment of the day I first started wearing hijab. I can remember waking up early on my thirteenth birthday because I couldn’t contain the excitement I felt. I can remember the exact shade of the pink fabric, and the way it felt tighter than I had expected. I can remember my father’s smile, and the length of my mother’s hug. I can remember the slow morning drive through my hometown in Texas, and the way my parents asked me one last time before they dropped me off if I was sure this was what I wanted. I can remember the conviction of my answer. And, of course, I can also remember the fear. I can remember too the way my teachers would avoid eye contact with me, and I can remember how tentative my friends were when they asked if my parents had forced me into it, as if they were suddenly scared for me, or of me, or both. I can also remember how slowly, through stilted conversations and glares from passersby, I felt the world constrict around me. I can also remember how suddenly everything felt sharper: people’s voices, their smiles, and their comments. Nothing was friendly anymore. That day shaped me, and I remember all of it. Afterwards, I isolated myself. I would spend hours at home, usually sitting by the bookshelves in my parents’ room while they were at work, picking up books that I was never able to read for more than a few minutes. None of them were right— they all felt foreign to me. The books my parents had bought for me were all wrong; they were all young adult novels about crushes and adventures and sneaking out, so unfamiliar to my own experience that I never finished one. The Pakistani books were wrong too, even though the characters were more like me in how they dressed and grew up, all of them worried about marriage or family ties or immense poverty, and this was just as alien. It wasn’t until months later, when I was going through the assortment of biographies my mother had bought to try and familiarize herself with American history, that I found a book unlike the others. 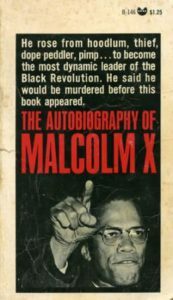 It was The Autobiography of Malcolm X, and I remember running my fingers over its spine, intrigued by the unknown man on the cover. If all the other books I had picked up were foreign, Malcolm’s book was the first thing I read that felt native to my place in the world. I opened the pages, and what felt like minutes later, jumped at the sound of the doorbell chiming. It was the strangest experience to read something and lose all sense of time, but his book had a power that I had never experienced before. 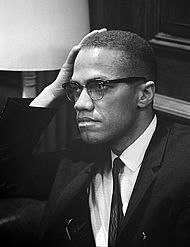 The story of an American Muslim was unique enough for me to hear, since all of the ones I had known were immigrants or disconnected from their faith, but Malcolm seemed to understand every facet of what that entailed, in a way my own friends and family couldn’t. He wrote about isolation, anger, frustration, fear, transformation, acceptance, self-love, and with every new idea he put forth I thought finally, someone understands. Maybe it’s strange, but the part I remember most is how unbelievably relieved I felt in that moment, with Malcolm’s words running through my mind. It was the first time I can remember thinking that all of this wasn’t my fault. All that time I had just wanted to be seen, not as the girl who wore the scarf on her head, but as a complete person, and Malcolm had reassured me that’s who I was. He reminded me that if people couldn’t see me for the person I really was, the problem was not my own, and it wasn’t up to me to fix it. With Malcolm’s words I found affirmation and reassurance, and I didn’t feel quite so alone. The world was different back then. 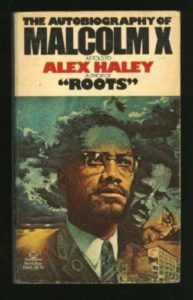 I was a thirteen year old living in Texas in 2010, my parents had lived in this country together for eleven years, and I only had access to Malcolm’s book because of my mother’s search for historical knowledge. My perspective changed quickly in that time, but it’s seven years later and my life isn’t the same. I’m a student at NYU and I know other people like me now, with dashes in their identity. I know Muslim-Americans, Pakistani-Americans, Egyptian-Americans, but, ultimately, all Americans. With them, I don’t feel so alone anymore. Yet, I would be lying if I said I wasn’t still scared. It’s hard not to be when I hear things like “Muslim registry” and “increased surveillance” and “go back to your own country.” So I still read Malcolm, and each time he helps me in unexpected ways. The first time I read Malcolm’s book he taught me I was not alone, but the second time I read it, he taught me how to work for change. His story could easily be one about victimhood, but it’s not. He doesn’t allow himself to fall victim to systems that constantly work against him when he is cheated out of a real education, sent to prison, harassed by police, and demeaned by almost all of society. Instead, his story is one about protesting, marching, and speaking out even when chances are slim. In no part is this more apparent than the end of the book, where he talks about his certainty that he will die soon. He doesn’t express any fear or anger over it, he simply says “I know that societies have often killed the people who have helped to change those societies. And if I can die having brought any light, having exposed any meaningful truth …then, all of the credit is due to Allah. Only the mistakes have been mine.” This is how Malcolm fought: without any fear, and to the end, and I hope he has taught me to speak out on behalf of the marginalized in the same way. Of course, it could be trivial to compare what I go through to what he went through. I have no idea what it is like to be ripped away from your mother as a child, and to have your father killed by racists. Or the horror of living in prison, and being forced into solitary confinement for daring to disagree with someone. I also will never know what it is like to receive constant death threats, or to be personally harassed by the leaders who are supposed to represent you. The defining moments in his life are not similar to mine, and they are things I can only imagine. But sometimes, I also imagine those smaller moments, and wonder if they were, in fact, like mine. I think about him standing backstage before he went forward to speak, and wonder how he prepared himself. I think about what went through his head when he marched and protested, and whether it was like anything that goes through mine. When I find myself in places where I also need to protest for what I believe in, I think about the courage he would need to draw on in those moments, and I try to draw some for myself as well. That courage can elude me. Like, the day after the election. I felt so fatigued, I didn’t want to do anything. I didn’t want to march with my friends, or go to community events, or turn on the news. I just felt tired, numb. I wanted very badly to go home and see my family again, and to sit once more by the bookshelves in my parents’ room to waste hours there. But I wasn’t at home, I was in my dorm, and I didn’t have that option. So I lay in my bed, and downloaded Malcolm’s book onto my phone in an effort to remember what it was like to feel angry, or optimistic, or something. I skipped to the last chapter—it has always been my favorite. It’s when Malcolm stops telling his story in the past tense, and he switches to the present, and eventually the future. He speaks about how his time in Mecca changed him, how enlightened he feels now, and how hopeful he is for his new organization. He writes candidly about his impending death: “I know that societies have often killed the people who have helped to change those societies,” but I cannot help but feel angry when I think about the unfairness of his murder. I know he would discourage this kind of emotional thinking, but I think about it anyway. 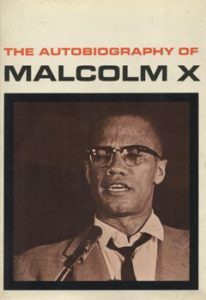 Rereading Malcolm’s book for this third time helped me realize something I had forgotten in my own search for acceptance and passion. His writing is a place to find tolerance and encouragement, but it also isn’t kind or gentle. More than anything too, he detests complacency. He doesn’t hold back in his fights, and he expects the same from you. I see Malcolm constantly now. Last weekend, I was protesting the detainment of immigrants at JFK airport, and there was a moment where I thought of Malcolm once more. A lawyer announced to the crowd that a federal judge had granted the people already here the right to stay, and the excitement swelled. Yet, all I could think about when everyone was cheering was that this didn’t magically reverse the policy, and that there was so much more injustice to overcome. I thought about how Malcolm understood the sense of complacency that small victories create, and how he would push forward even when people didn’t understand that there was still work to be done. I don’t know what the future holds in this case, and I can’t say that looking to Malcolm’s words makes me feel like everything will be okay, because I don’t know that it will. But I wouldn’t be the person I am now, protesting for what I believe in, without him. I owe him the knowledge, courage, and even the little bit of hope that I have today, and I can’t really ask for much more. Khirad Siddiqui is a sophomore at NYU studying Applied Psychology. She was raised in Plano, Texas and her family has lived in the U.S. for 17 years. This entry was posted in Memoir, Politics and tagged Donald J. Trump, islamaphobia, Malcolm X, Muslim registry. Bookmark the permalink. This was amazing. You captured it brilliantly, and I’m glad that Malcolm’s efforts will not die as long as people like you always remember what he fought for. The media scare people about the volatility or abnormality of the behaviour of minority groups. Scaring the general public takes away their attention from the inadequacies of government policies and the neglect of adequate social and welfare needs of the population. Face up to Racism week begins on the 19th or 26th February 2017. #FU2RACISM (twitter) is where you can comment on SBS TV Australian programs on racism. Also you can look up @SBS and on facebook under SBS TV Page. Thank you so much for sharing this! Your beautiful writing made me want to read Malcom X’s autobiography, too. Somehow, I can relate very well to what you are writing, although I live in Germany, I have blonde hair and wear no hijab. It is a totally different experience, but as a Bahai in Germany I realize that there is certain aspects of the teachings of my faith (for example drinking no alcohol) that make other people put members of this faith into simple categories that are supposed to define their whole personality – being religious in general is something “strange” here. This post left me speechless. I have been watching the developments in the US from the safety of social media and an ocean’s distance between me and the female activists I have been following for the past 2 months or so. This piece made me realize that watching the news or immersing myself in activists’ Twitter feeds can only give me a surface level perspective of their unique human experiences. It is powerful to watch, but it is still incomplete. I can only see their present rather than their individual, complex histories and struggles with their unique identities. This is why this piece resonates with me. Miss Siddiqui captures something I have often overlooked and has helped to expand my perspective. It was beautiful. It touched my heart. I long to read more. Thank you for sharing this with us. Even from an ocean away, I will continue to stand with you. Thank you to write this, this is beautiful and im glad to found this. Hamasah! Thanks for taking the time to remind me of what I owe this great man. His autobiography was the first I’d ever chosen to read when I found it in my dad’s bookshelf while visiting him in Dallas when I was 15. All praise and thanks are due to Allah as He guided me to that book and, eventually, to His deen and the Holy Qur’an eleven years later. Malcolm’s is a story everyone can learn from and I’m grateful to you for highlighting that fact. May Allah, Mighty and Majestic, shower you, your family, and the family of al-Hajj Malik al-Shabazz in His Mercy and Light until The Last Day, ameen. This has encouraged me greatly as I’m in first year university and am afraid to try to return to my faith after having lost my belief. I’m afraid of what all of the people in my school, community, city, social media will think. I’ve worn a scarf on my head before just because my hair was wet and I didn’t want to catch a cold. Oh how people stared. They walked around me instead of past me. To be honest, I kind of enjoyed it. I like my space and I like knowing at first glance what kind of person someone is based on their behavior. It brings out the hidden racism in people who would in other circumstances not show it since I am white passing. I feel like I will try to wear a hijaab soon because I intuitively feel that it will shape me to be the person I want to become.